The Trump administration's proposed replacement for the Obama-era Clean Power Plan would greenlight a landmark change to EPA's New Source Review permitting program while allowing more emissions of pollutants linked to premature deaths, according to the plan's supporting documents released today. The proposed Affordable Clean Energy Rule would give states the option of letting power companies adopt a new yardstick for deciding whether a power plant upgrade or expansion requires a pre-construction permit under the Clean Air Act's New Source Review program. Currently, companies must forecast the potential impact on overall annual air emissions. The draft rule would substitute an approach tied to whether the project would lead to a higher hourly emissions rate. If the distinction seems arcane, both backers and foes of the proposed change view the potential consequences as far-reaching. The status quo may discourage utilities "from investing in beneficial efficiency improvements," EPA said in a summary today of the proposed change. That's because such improvements let a power plant produce electricity more effectively — leading to heavier use and higher annual emissions that could trigger the need for a New Source Review permit, the summary indicated. But to environmental and public health groups, who say that New Source Review is crucial to ensuring that upgraded plants have up-to-date pollution controls, the upshot would be dirtier air. 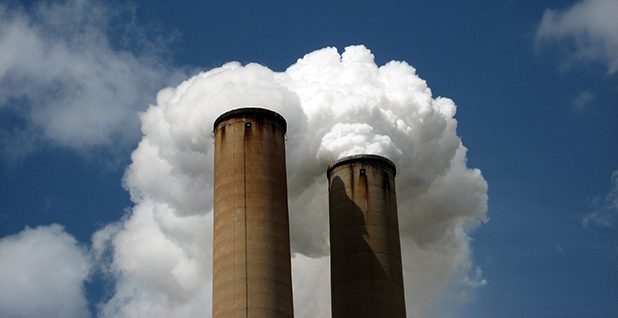 "What this is really about is more air pollution from dirty coal plants and more people downwind suffering from those plants," Paul Billings, senior vice president for advocacy at the American Lung Association, said in an interview. A spokesman for the Edison Electric Institute, which is still reviewing the draft rule, had no specific comment this morning on the proposed change to the New Source Review program. At the National Rural Electric Cooperative Association, spokesman Dan Riedinger said in an email that the planned change makes sense because the hourly emissions rate test is already used in defining potential pollution increases in another Clean Air Act program known as New Source Performance Standards. Utilities, however, aren't the only industrial sector seeking the change. In July, the House Energy and Commerce Subcommittee on Environment approved legislation by Rep. Morgan Griffith (R-Va.) that would incorporate the use of an hourly emissions test throughout the New Source Review program. In a statement this morning, Griffith called EPA's proposal a positive step but added that NSR "currently applies to a myriad of manufacturing and industrial facilities as well as electric power generation." Those facilities "also need the clarity in the regulatory process that my reforms would provide," Griffith said. His legislation is awaiting action by the full Energy and Commerce Committee. Should the proposed NSR change make it into the final rule, Keri Powell, a former EPA attorney now in private practice, agreed it could be extended to other types of polluting businesses. "There is precedent for things to start with the power industry and then move on to others," she said in an interview. As EPA acknowledged in its regulatory impact analysis, the broader changes in the proposed rule could lead to more emissions that contribute to formation of fine particulates and ozone, variously tied to an array of heart and lung problems. By EPA's projections, the result could be up to 1,400 more premature deaths each year by 2030, Billings said in a Twitter post. Asked about that potential outcome during a conference call with reporters this morning, EPA air chief Bill Wehrum said the agency also has "very aggressive" programs that directly target pollutants stemming from coal-fired power plants. "Our view is, if we want to regulate PM [particulate matter], we regulate PM straight up," Wehrum said. This year, however, EPA has overhauled its framework for reviewing air quality standards for particulate matter, ozone and four other pollutants to incorporate consideration of the possible economic consequences. EPA is also pursuing a separate proposal that would limit its use of science in developing new regulations to studies for which the underlying data "are publicly available in a manner sufficient for independent validation," according to the text. If implemented, critics say, that change could block the agency from relying on major studies by Harvard University and the American Cancer Society researchers that in 1997 led to the first-ever standards for fine particulates.